Jermaine Beckford's first league goal for Preston earned them victory at Peterborough in Simon Grayson's 100th match in charge of the Lilywhites. The on-loan Bolton man collected a pass from Kevin Davies, beat two defenders and clipped the ball past keeper Ben Alnwick in first-half stoppage time. Paul Gallagher had earlier struck the crossbar for the visitors. Posh offered little in reply, with Erhun Oztumer seeing a free-kick saved and Aaron Mclean slamming a shot wide. Preston remained fourth in the League One table, but only one point behind leaders Bristol City, while Peterborough's defeat was their fourth in a row at home. Match ends, Peterborough United 0, Preston North End 1. Second Half ends, Peterborough United 0, Preston North End 1. Attempt blocked. Andy Little (Preston North End) right footed shot from more than 40 yards on the left wing is blocked. Attempt saved. Christian Burgess (Peterborough United) header from the centre of the box is saved in the top centre of the goal. Corner, Peterborough United. Conceded by Paul Huntington. Craig Mackail-Smith (Peterborough United) wins a free kick on the right wing. Andy Little (Preston North End) is shown the yellow card. Harry Beautyman (Peterborough United) wins a free kick on the right wing. Harry Beautyman (Peterborough United) wins a free kick on the left wing. Attempt saved. Nathaniel Mendez-Laing (Peterborough United) left footed shot from outside the box is saved in the top left corner. Corner, Peterborough United. Conceded by Tom Clarke. Substitution, Preston North End. Jack King replaces Jermaine Beckford. Substitution, Peterborough United. Luke James replaces Gabriel Zakuani. Delay in match Erhun Oztumer (Peterborough United) because of an injury. Attempt saved. 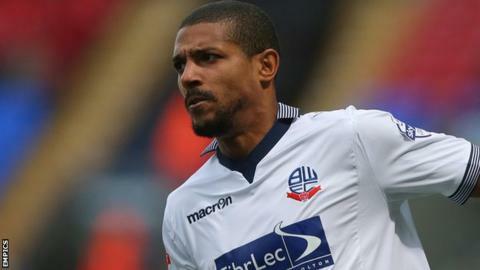 Jermaine Beckford (Preston North End) right footed shot from the right side of the box is saved in the top right corner. Attempt saved. Jermaine Beckford (Preston North End) right footed shot from outside the box is saved in the top centre of the goal. Attempt missed. Michael Bostwick (Peterborough United) right footed shot from outside the box is too high. Corner, Peterborough United. Conceded by Scott Laird. Corner, Peterborough United. Conceded by Chris Humphrey. Attempt missed. Kgosi Ntlhe (Peterborough United) left footed shot from outside the box is too high. Attempt missed. Aaron McLean (Peterborough United) left footed shot from the centre of the box is close, but misses to the left. Attempt saved. Nathaniel Mendez-Laing (Peterborough United) right footed shot from outside the box is saved in the top centre of the goal. Attempt missed. Neil Kilkenny (Preston North End) header from the centre of the box misses to the left following a corner. Corner, Preston North End. Conceded by Kgosi Ntlhe. Substitution, Peterborough United. Nathaniel Mendez-Laing replaces Jermaine Anderson. Corner, Preston North End. Conceded by Gabriel Zakuani. Attempt saved. Scott Laird (Preston North End) right footed shot from outside the box is saved in the top centre of the goal. Michael Bostwick (Peterborough United) is shown the yellow card. Corner, Preston North End. Conceded by Jack Payne. Attempt blocked. Jermaine Beckford (Preston North End) left footed shot from the left side of the box is blocked. Alan Browne (Preston North End) is shown the yellow card. Hand ball by Alan Browne (Preston North End).